YOU CANNOT BRING YOUR BYCICLE? WE HAVE THE SOLUTION FOR YOU! Do you want to join the Granfondo La Fausto Coppi but it’s too difficult or expensive to carry your bike by train or plane? Or maybe you wish to test your limits with a new or different bike! 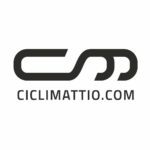 La Fausto Coppi can offer you a quick and easy solution thanks to its partnership with the bicycle shop CICLI MATTIO. Book your bike for La Fausto Coppi 2019 using the form on this page. You will be contacted as soon as possible.